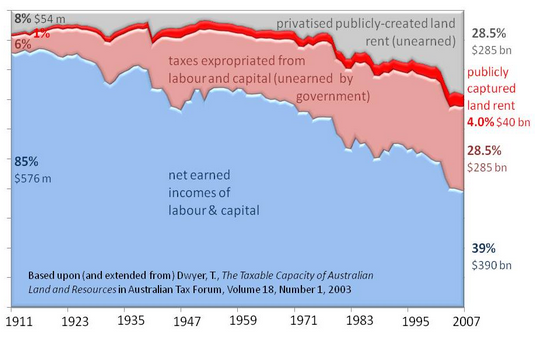 This graph above uses data from the Australian economy. This is the only graph of its type known to exist - we are currently unaware of any similar graph that has been produced for the European Union or USA. There is no evidence to suggest that the Australian graph above differs significantly for any other Western Nation. 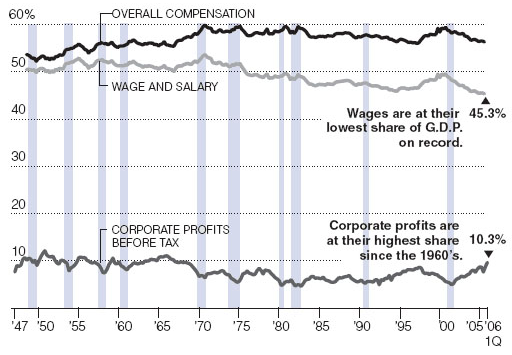 Corporate profits have improved sharply whilst the take home pay of the typical worker has failed to keep up with inflation. Compiled using Quarterly Figures. Shaded areas show recessions. Source: study carried out by Ian Dew-Becker and Robert Gordon, September 2005. 2016: An Oxfam report shows that the 62 richest PEOPLE in the world own as much wealth as the poorer half of the world’s population. 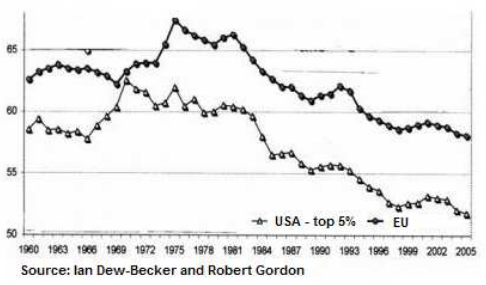 And the situation is continually worsening: In 2010, the 388 richest people owned the same wealth as the poorest 50%. It was 80 people in 2014. The wealth of the poorest 50% dropped by 41% between 2010 and 2015, despite an increase in the global population of 400m. In the same period, the wealth of the richest 62 people increased by $500bn (£350bn) to $1.76tn. Also in 2016: the richest 1% of people own more wealth than the other 99% combined. In 2016: The World Bank estimates that 70% of the world’s wealth is linked to real estate. Britain’s history is such that land is distributed more unequally than in Brazil. In Brazil: 1 per cent of the population owns 49 per cent of the land. In the UK: 0.3 per cent owns 69 percent of the land. - facts taken from Philippe Legrain's article. There are close to an estimated ONE MILLION empty homes in the UK. Most in highly desirable locations. Many more than 6 months vacant. Most are privately owned. Most are second homes. It is therefore highly misleading for anyone to declare there are not enough homes. The bigger problem is that they're not being used properly. Winston Churchill: "The landlord who happens to own a plot of land on the outskirts of a great city … watches the busy population around him making the city larger, richer, more convenient. .. and all the while sits and does nothing. Roads are made … services are improved … water is brought from reservoirs one hundred miles off in the mountains and -all the while the landlord sits still … To not one of these improvements does the landlord monopolist contribute and yet by every one of them the value of his land is enhanced … At last the land becomes ripe for sale – that means the price is too tempting to be resisted any longer … In fact you may say that the unearned increment … is reaped by the land monopolist in exact proportion not to the service, but to the disservice done." -Winston Churchill during debates on the Finance Act 1910, as quoted by Hagman and Misczynski, Windfalls for wipeouts: Land value capture and compensation, 1978. The history of the board game monopoly was as a tool to educate the world on the teachings of Henry George. See here: http://harpers.org/blog/2012/10/monopoly-is-theft/?single=1.